Ecessa is a networking technology manufacturer focused on making business wide area networks of all sizes run better. Its WAN link appliances for automatic failover and load balancing ensure greater reliability, full bandwidth utilization and redundancy for uninterrupted business operations. The Ecessa product line consists of four basic controller models with varying capacities. Ecessa Edge™ is our new channel-exclusive product. All the best Ecessa features scaled - and priced right - for small businesses. We know every organization that connects to the Internet or uses hosted VoIP and cloud apps needs network redundancy and resilience - but many small businesses couldn't justify the expense of a failover solution. Until now! You provision up to three ISP links, and for $50 a month (plus one-time acquisition fee) Ecessa Edge makes the magic happen. Chock full of features that mean no more panicked calls about "the network is down" and no more dropped calls. Learn more at info.ecessa.com/partners-edge. PowerLink™ is the popular model known and loved by over 10,000 users. It aggregates multiple WAN lines (T1, xDSL, Cable, fiber, ISDN, wireless, LTE, satellite, broadband, you name it) into a greater pool of available bandwidth while providing business continuity through ISP failover and redundancy. It optimizes application performance by prioritizing and managing traffic among links to avoid jitter, latency and congestion. PowerLink also has a built in basic firewall and VPN capabilities for network security. ClariLink™ has all that plus it SIP features that enable real-time call failover for VOIP reliability over the Internet. No more dropped calls! WANworX™ is the big daddy of our product line, built for organizations with multiple locations. It used software defined network features (SD-WAN) to seamlessly connect all of a business' locations plus it connects to Internet and cloud-based resources. WANworX allows network engineers to strategically design wide area networks, add links, add rules, and not shy away from complex multi-layered networks that will accomplish their performance goals. And Ecessa system architects help every step of the way. How can we help you generate leads, close sales and build up your happy customer base? By providing one of the best WAN link controller lines in the world, backed by a service team known for its responsiveness and excellence. You sell more carrier and cloud services, we help them run better, your clients come back for more. We're a team. 0	jplist-folder-All-Posts-64396 Product-Literature-Product-Literature	jplist-topic-Internet-Failover jplist-topic-Qos jplist-topic-Traffic-Load-Balancing jplist-topic-Voip	0	06/10/2016 15:46:55	The ECESSA EDGE series link controllers provides reliable Internet access and VoIP performance for small businesses, stores and branch offices by leveraging multiple, cost effective connections of any available service type. Your small business clients may not know they can afford a failover solution, but with ECESSA EDGE they can get an additional connection from you and manage it all easily and affordably with Edge.Everybody needs redundancy. 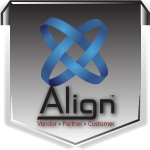 Ask us how you can be a hero to your small business clients with affordable failover. Nobody does failover better than Ecessa. What is SD WAN and Should I Know or Care About It? 1	jplist-folder-All-Posts-64396 Presentation-Presentation	jplist-topic-SD-WAN	0	03/13/2016 15:53:36	Almost every technology publication has written over the last 6 months includes an article about SD WAN. Learn why industry experts are predicting that the enterprise WAN is about to change forever. Understand why enterprises are demanding SD WAN and how the carriers and cloud providers are looking to compete and or leverage this new technology. That battle has already begun learn how to get start by preparing today. Ken LaMere was a featured speaker at this March's 2016 Cloud Conventions. Watch his video entitled: What is SD WAN and Should I Know or Care About It? View or download the PowerPoint from this session. Explanation of Ecessa standard support and enhanced support agreements. 2	jplist-folder-All-Posts-64396 Product-Literature-Product-Literature	jplist-topic-Service-Agreement jplist-topic-Sla jplist-topic-Technical-Support jplist-topic-Warranty	0	10/28/2015 11:21:26	Explanation of Ecessa standard support and enhanced support agreements. 4	jplist-folder-All-Posts-64396 Case-Study-Case-Study	jplist-topic-Case-Study jplist-topic-Ecessa jplist-topic-Failover jplist-topic-PowerLink jplist-topic-Saas	0	07/09/2015 17:49:29	CORE Health Networks implements medical data management systems for top-rated companies, and operates a nationwide network of over 1,200 occupational medicine clinics to serve their clients. Network uptime is critical to their operation. 5	jplist-folder-All-Posts-64396 Case-Study-Case-Study	jplist-topic-Ecessa jplist-topic-hotel jplist-topic-Kimpton jplist-topic-Wi-fi jplist-topic-Wifi	0	07/09/2015 17:48:39	Today, hotel guests rank WiFi access higher than every other amenity, including complimentary breakfast and free parking. Kimpton hotels puts a focus on WiFi, the highest ranked guest amenity. Powering the confidence in their network are Ecessa WAN link controllers. 6	jplist-folder-All-Posts-64396 Case-Study-Case-Study	jplist-topic-E-learning jplist-topic-Ecessa jplist-topic-Failover jplist-topic-Load-Balance jplist-topic-Wan	0	07/09/2015 17:48:05	Big Boy Restaurants uses their wide area network to support many in-store initiatives, including e-learning. The seamless uptime ensured by Ecessa helps them properly support their many moving parts in the restaurant industry that is competitive and changes quickly. 7	jplist-folder-All-Posts-64396 Case-Study-Case-Study	jplist-topic-DNS jplist-topic-Ecessa jplist-topic-Internet jplist-topic-PowerLink	0	07/09/2015 17:47:26	Looking to increase their internet reliability and have greater control of their DNS settings, Hutchinson Credit Union opted to include PowerLink into their network solutions. The result - member satisfaction. 8	jplist-folder-All-Posts-64396 Case-Study-Case-Study	jplist-topic-Aggregate jplist-topic-Bandwidth jplist-topic-Ecessa jplist-topic-High-Availability jplist-topic-PowerLink	0	07/09/2015 17:43:41	Looking to provide high-availability and improve performance of their online applications, St. Joseph's Academy added PowerLink WAN Link Controllers to their network. 9	jplist-folder-All-Posts-64396 Product-Literature-Product-Literature	jplist-topic-Ecessa jplist-topic-Failover jplist-topic-Multi-WAN jplist-topic-MultiWAN jplist-topic-SD-WAN jplist-topic-Virtualization jplist-topic-VPN-Tunnel jplist-topic-WANworX	0	06/02/2015 16:27:40	WANworX ensures organizations Never Down™ WAN performance and provides the most cost effective, scalable and flexible next generation SD-WAN technology. 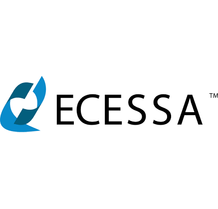 WANworX is built on the proven Ecessa product foundation. Its WAN aggregation, load balancing and virtualization features let you combine multiple different carrier and ISP services, such as fiber, T1, DSL, cable and wireless, create secure VPN tunnels and actively use failover lines instead of idling them on standby.More bandwidth, greater reliability, better application performance. Use WANworX to boost the performance and reliability of private, public and hybrid cloud networks. When your client's network simply has to work, call us about WANworX. Overview of Ecessa product line. 10	jplist-folder-All-Posts-64396 Product-Literature-Product-Literature	jplist-topic-Carrier-Diversity jplist-topic-ClariLink jplist-topic-cloud jplist-topic-DNS-Failure jplist-topic-Ecessa jplist-topic-Failover jplist-topic-Internet jplist-topic-Network-Congestion jplist-topic-Network-Issues jplist-topic-PowerLink jplist-topic-SD-WAN jplist-topic-ShieldLink jplist-topic-Voip jplist-topic-Wan jplist-topic-WANworX	0	06/02/2015 16:23:00	What's your client's pain? Ecessa WAN link controllers make business applications run better by solving a range of network performance issues. This overview document identifies common problems and the Ecessa unit you can recommend to solve the issue. 11	jplist-folder-All-Posts-64396 Product-Literature-Product-Literature	jplist-topic-cloud jplist-topic-Failover jplist-topic-Internet jplist-topic-Internet-Applicance jplist-topic-Load-Balance jplist-topic-Load-Balancing jplist-topic-Redundant-WAN jplist-topic-Sip jplist-topic-Voip jplist-topic-Wan	0	06/02/2015 16:15:40	Dropped calls aren't just frustrating, they cost organizations money and time. ClariLink Internet appliances eliminate dropped calls. They load balance SIP traffic over multiple WAN links and service providers for redundant, diverse link connectivity and automatic session failover, so that even if one of your carriers has a total meltdown, your callers stay on the line. 12	jplist-folder-All-Posts-64396 Product-Literature-Product-Literature	jplist-topic-Failover jplist-topic-Firewall jplist-topic-Internet-Appliance jplist-topic-Load-Balance jplist-topic-Load-Balancing jplist-topic-Vpn jplist-topic-WAN-Link-Controller	0	06/02/2015 16:04:44	Critical application uptime of 100% is the standard your clients expect. PowerLink Internet appliances give your clients what they need: automatic failover between ISP connections with load balancing and traffic shaping. All of your clients need this functionality, and if they're currently under contact with a provider, you can offer a additional service and an Ecessa unit and ensure the availability of their critical applications. No one does failover better than Ecessa. 13	jplist-folder-All-Posts-64396 White-Paper-White-Paper	jplist-topic-Application-Performance jplist-topic-Bandwidth jplist-topic-cloud jplist-topic-IT-Issues jplist-topic-Wan	0	06/02/2015 12:46:23	As companies move increasing amounts of applications and other systems off-site to cloud environments, administrators must ensure that there is adequate bandwidth to support all the online applications employees require in their day-to-day activities. This and other top IT pain points.This executive brief is suitable for distribution to end user decision makers to help them understand why various WAN solutions are important. It may be used to help advance deals and also for your sales team training. 14	jplist-folder-All-Posts-64396 White-Paper-White-Paper	jplist-topic-Call-Failover jplist-topic-Sip jplist-topic-Voip	0	06/02/2015 12:30:23	VoIP and wireless voice networks have transformed the age of separate voice and data networks. SIP-enabled WAN controllers function as a NAT device, SIP Proxy and SIP registrar within an organization's network while also including the added features such as load balancing, redundant WAN connectivity, automated failover, traffic shaping and link health reporting.This technical white paper is suitable for distribution to end user clients and prospects. It can also be used for training your internal teams. 15	jplist-folder-All-Posts-64396 White-Paper-White-Paper	jplist-topic-Business-Continuity jplist-topic-cloud jplist-topic-disaster-recovery jplist-topic-Internet jplist-topic-Internet-Appliance jplist-topic-Wan jplist-topic-WAN-Link-Controller jplist-topic-WAN-Optimization jplist-topic-WAN-Virtualization	0	06/02/2015 12:12:51	With today's heavy reliance on the Internet and Cloud Computing, having a plan in place to keep your clients' businesses up and running in the event of a disaster or an inevitable Internet outage is critical. Utilizing redundant, disparate WAN connections with a WAN optimization or virtualization controller is an essential element for dealing with reliability and performance issues.This white paper is suitable for distribution to end user clients and prospect. It can also be used for training your internal team members. 16	jplist-folder-All-Posts-64396 White-Paper-White-Paper	jplist-topic-cloud jplist-topic-Failover jplist-topic-Internet jplist-topic-Load-Balancing jplist-topic-Network-Performance jplist-topic-Traffic-Management	0	06/02/2015 12:08:06	The Internet and Cloud-based resources have become essential for conducting business and communicating with customers, partners, and employees. This is true for your entire base of current customers. All of them need failover - and you are in the perfect position to provide it to them with your portfolio of service providers and Ecessa.Making sure clients have two or more internet connections and a device that provides automatic network failover not only assures connectivity when a network outage occurs, but also provides improved network performance and traffic management when both links are performing well.This white paper is suitable for distribution to end user prospects and clients. It can also be used for training your internal teams.